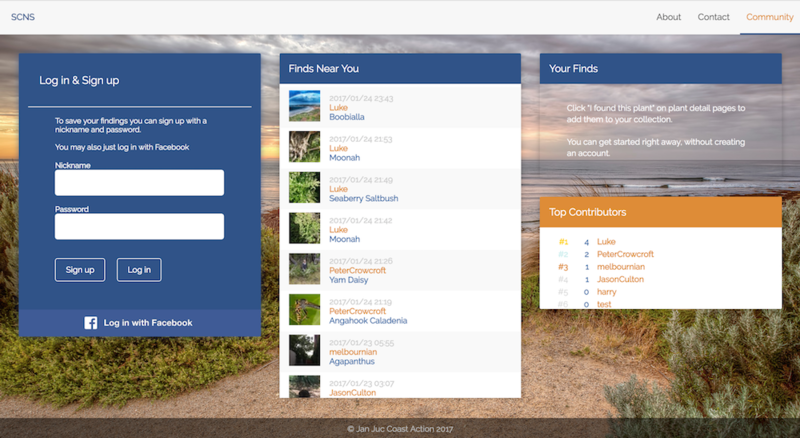 If you live in the Jan Juc region of the Surf Coast, Victoria, this search engine will help you to identify indigenous coastal plants and animals. What coastal plant is that? Enter some features of a plant you can see to see what it could be. Enter features you want (eg flower colour), to see indigenous plants for your coastal garden. Select this if you would like to see all the indigenous coastal plants in our database. See which ones you should pull out if you see them. Select this if you would like to see all the birds in our database. Select this if you would like to see all the mammals in our database. Select this if you would like to see all the reptiles in our database. We've added a Pokemon Go inspired plant finder to help get our community involved in our native flora. Please select from the features below to identify a plant. You can skip a category if you are unsure or select more than one option per category if you think they may be suitable.